A couple of months ago I read the first book in this series Reason To Breathe and you can read my review of that book here. The first book ended on a huge cliff-hanger and this sequel picks up the story six months later. I expected the book to start immediately after that cliffhanger but instead you get a prologue written by the main character telling you what happened and then we jump to the present day. I quite liked the fact that this book is a new story, it definitely took me places I didn’t think it would but I would recommended reading the first book so you understand all the motivations of the characters. 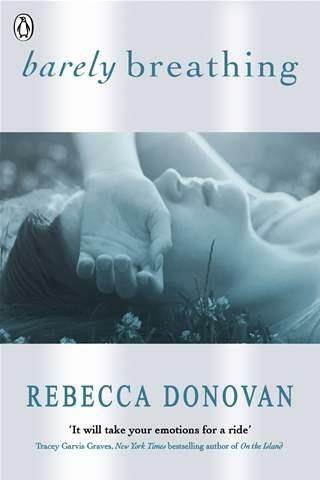 In this book, Emma moves in with her estranged mother and sets out to learn about her past. Emma isn’t the easiest character sometimes, she kept a lot of things secret in the first book and it takes her a while to learn her lesson on that in this one. We get a new character in this book – her mother’s younger boyfriend Jonathan and he has his fair share of demons which bonds him to Emma. As this is Emma though she does stick up for herself in the end of this book but hurts people in the process. Unfortunately, she then falls into the trap of blaming herself when really she is the victim. I thought this was realistic and you want to shake her in the end as she takes herself away from everyone in a fit of regret for her actions. I was expecting another cliffhanger and we got one, leaving the window open or the final book and I have no idea where it will take Emma or us. This book was a real page turner for me and I really wanted to know where things were heading. I was rooting for an outcome that didn’t happen but I totally get why it didn’t and although Emma makes some mistakes and keeps things to herself too much, I still rooted for her. Actually, I think I enjoyed this sequel more than the first book so I hope the final one ends the story with a bang. Do you like sequels to take you to unexpected places? I have nominated you for the Versatile Blogger Award. I see you’ve already been nominated. Congratulations!!! Either way, you can read about what you need to do here: http://jgfairytales.wordpress.com/2013/03/23/the-versatile-blogger-award/ and get a copy of the Award picture (http://versatilebloggeraward.wordpress.com/blog-button/) to place on your blog.